Larry and Ruby Povolo listen to speakers at a rally held in Newton last September looking for crime solutions. He states he was openly mocked when he attempted to raise and discuss important issues. Is that not the job of an advisory group? Aug. 14, 2015 9:00 a.m. 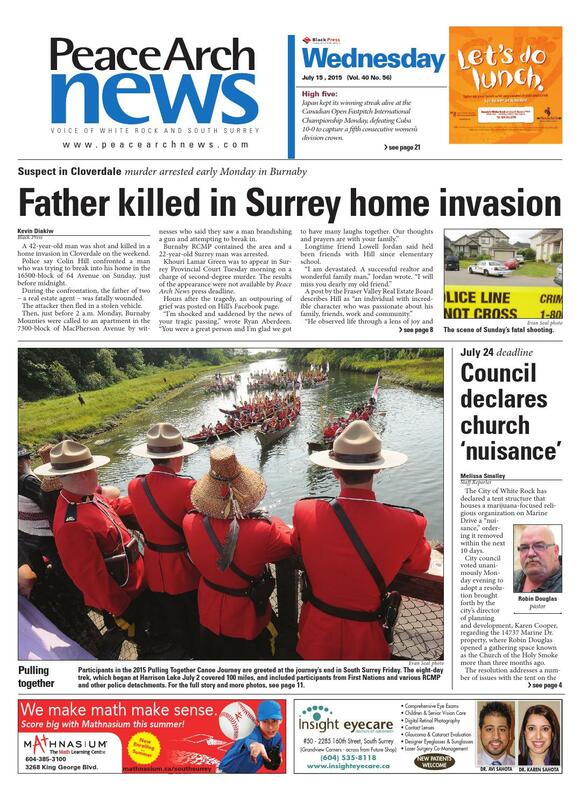 It was interesting to read your article by Kevin Diakiw, in which he reported that high-profile member of Surrey’s environmental committee Bob Campbell had quit in protest of the way he’s been treated and the dysfunction of the committee itself (Environmentalist quits city committee, July 17). The article notes that Campbell may be the most recent to resign, but there were others – Dr. Roy Strang, who departed in frustration about 10 years ago, and late Dr. Tom Godwin left the committee when he decided recommendations were falling on deaf ears of council. I can identify with their frustration. The city used to have a Community Consultant Group. After the murder of mother of three children Julie Paskall at the Newton ice rink (Vigilance urged as police hunt killer, Jan. 7, 2014), we unanimously passed a motion that recommended the city organize a multi-level governmental meeting to discuss and find solutions to the crime issues in our city. That was over a year-and-a-half ago. The city has never organized such a meeting, and furthermore, has never re-instated that consultant group. They ignored our recommendation and then silenced us by not reconvening the group. How does not having meaningful discussions with those who have the ability to make change help us find solutions to our crime problems? Simply stating that this must stop does nothing to resolve the problems. 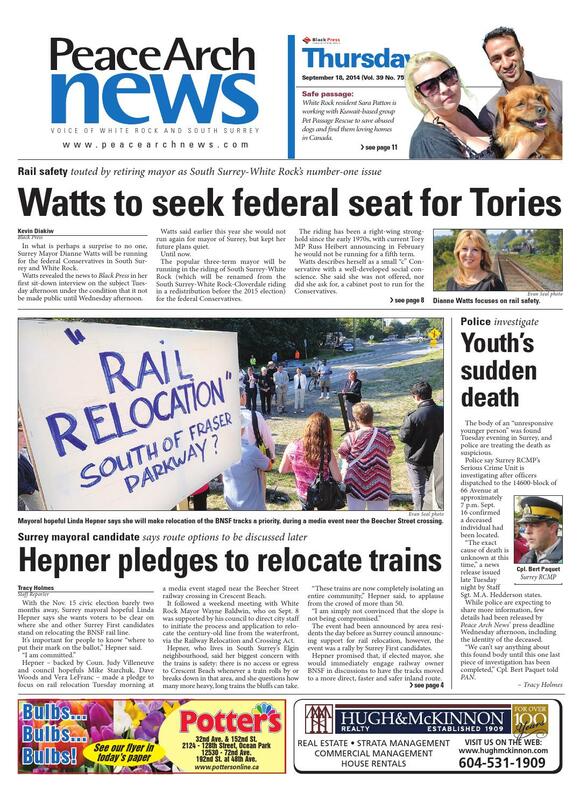 Last fall, after the tragic murder of 17-year-old Serena Vermeersch (Youth’s sudden death, Sept. 18, 2014), a number of concerned citizens organized a rally in Newton. Our call for action was that mayor and council organize the multi-level government meeting we had asked for eight months prior and start working on solutions to our crime problems. All of our current council were in the audience that day, and we still do not have a multi-level government meeting organized to find solutions to our crime problems. 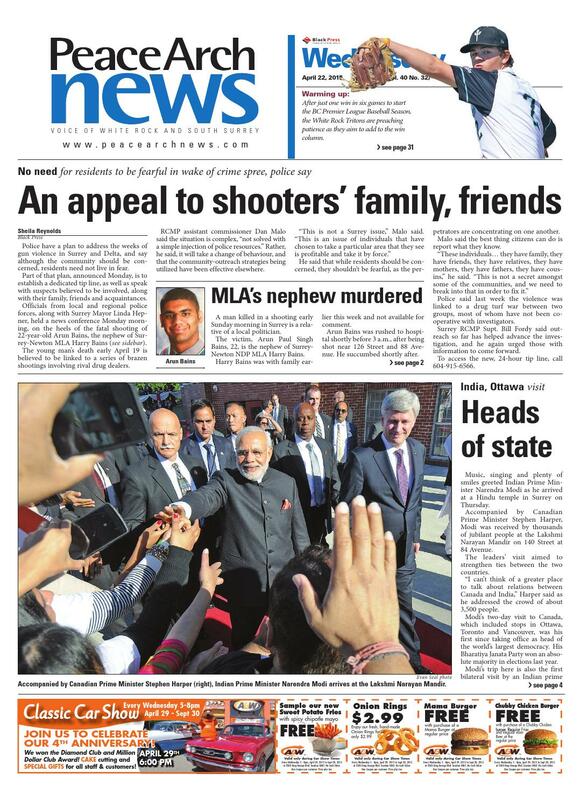 A couple of months ago, it was the murder of Arun Bains in Newton (An appeal to shooters’ family, friends, April 22); last month, it was a murder of father-of-two Colin Hill in Cloverdale (Father killed in Surrey home invasion, July 15); residents in Port Kells recently woke up to a targeted shooting in our neighbourhood, and on and on it continues. The questions beg to be asked. What other city in Canada had to requisition 100 police officers all at the same time? 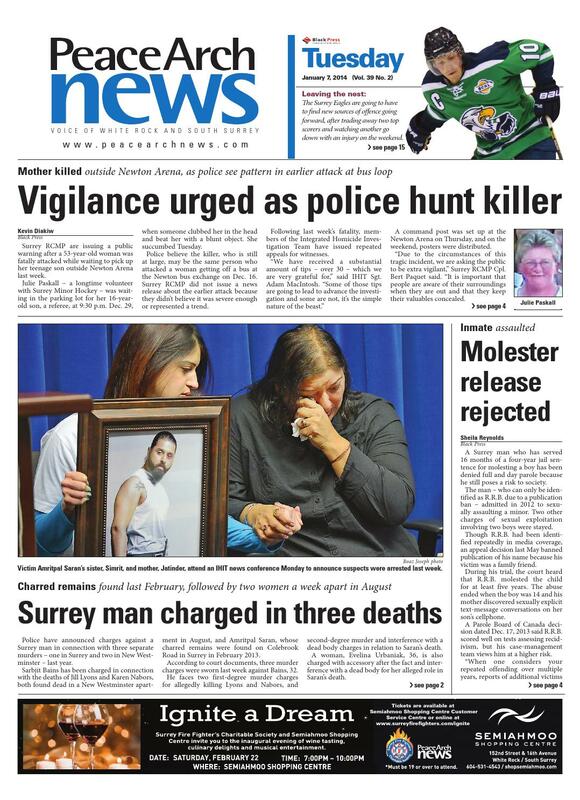 And does this indicate that the serious-crime situation in Surrey has been a long time in the making due to lack of police resources and an understaffed bylaw department? Do we need federal reforms to our justice system? Do we need the province to implement the recommendations of the attorney general’s blue ribbon panel report, Tough on Crime? One thing for sure, we need a multi-level government meeting to find answers and solutions to these questions.